Editor's note: Wang Peng is an associate research fellow at the Chongyang Institute for Financial Studies, Renmin University of China, and a researcher at the Charhar Institute. 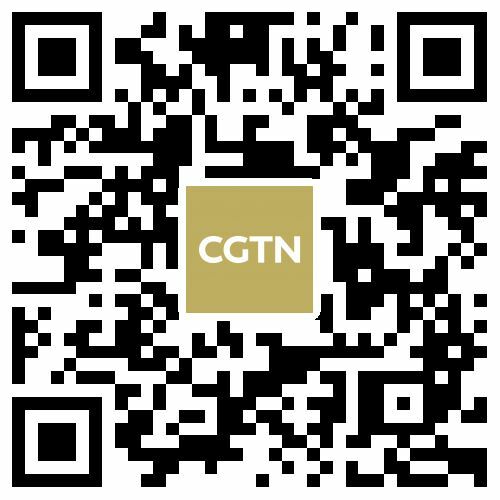 The article reflects the author's opinion, and not necessarily the views of CGTN. 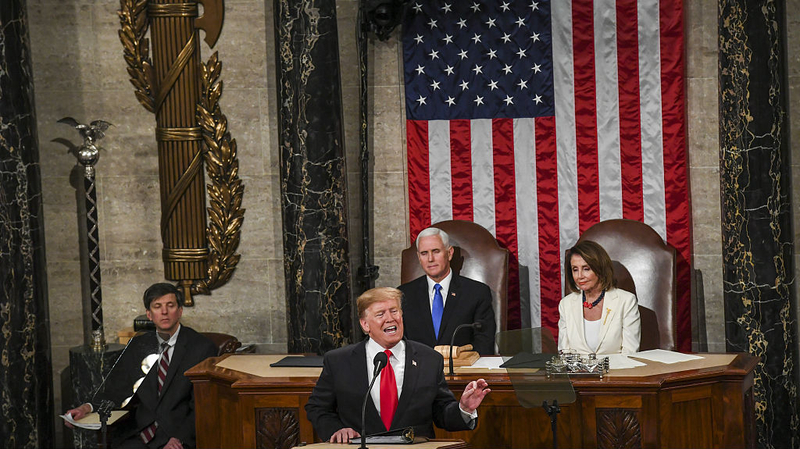 U.S. President Donald Trump's second formal State of the Union address took place on February 5. As American media noted, this speech was delayed by two weeks amid the longest government shutdown in history and it took place as the president and Congress were trying to find a solution to avert another shutdown on February 15. Certainly, the real effectiveness of breaking “political stalemate” and bridging “old divisions” still remains to be seen. (1) Criminal justice reform: In this starting point, Trump cites recent legal cases such as the highly publicized one involving Alice Johnson to illustrate his efforts and achievements in reforming the American legal system (e.g. signing the First Step Act into law). 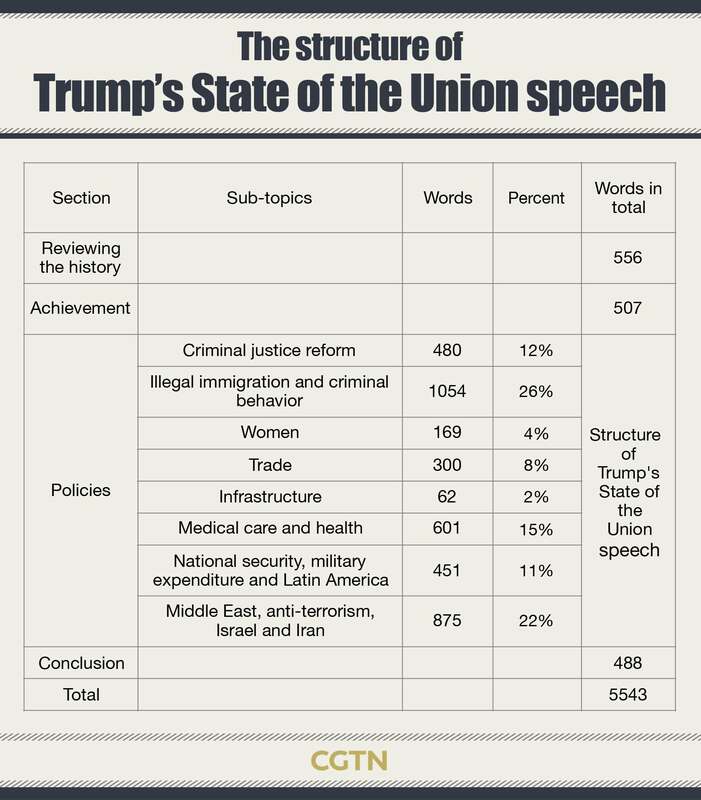 (2) Illegal immigration and criminal behavior: This section is a key focus of Trump's speech, accounting for 1,054 words and 26 percent of the main body text of 3,992 words. It is not difficult to understand his emphasis on the horrible harm innocent Americans suffered in the past that, in his view, was caused by illegal immigrants and their criminal behavior. As a result, he calls for both Democrats and Republicans in Senate and House to support his Copernican plan – building a wall to separate America from Mexico. (3) Women: (Perhaps) in an effort to respond to increasing criticisms of his treatment of women, the president is eager to prove his willingness to reach out to female American voters and espouse a great contribution to women's rights protection. (4) Trade: Trump mentioned China/Chinese four times in this section, and repeated a number of tedious “accusations” such as “targeting our industries,” “stealing our intellectual property,” and “theft of American jobs and wealth” to legitimize his trade war. (6) Medical care and health: In this section, Trump carries forward his great tradition of “anything but Obama” by criticizing his predecessor's “medical care” system and praising his own reform. 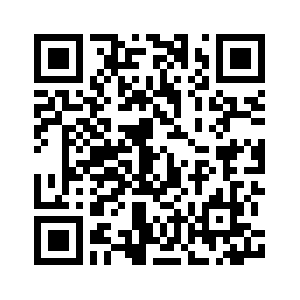 (7) National security, military expenditure, and Latin America: Sections 7 and 8 are about international affairs and American foreign policy, which in total occupy one-third of the main body. Trump firstly introduces the situation of American national security and the contribution made by his administration in brief; then seeks to justify his decision to increase military expenditure. 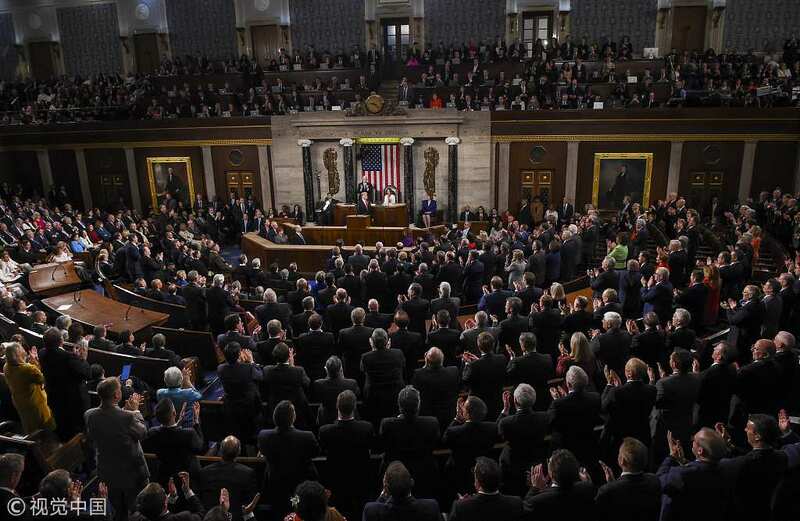 Looking broadly at President Donald Trump's second formal State of the Union address, it can be seen clearly that: First, domestic affairs (due to the “America First” principle) are of paramount importance. It is beyond any doubt that Trump's speech carried the slogan “We must be united at home to defeat our adversaries abroad.” This part captures more than two-thirds of Trump's words and time to demonstrate his policy and prove the “great contribution” made by his administration for the American people. 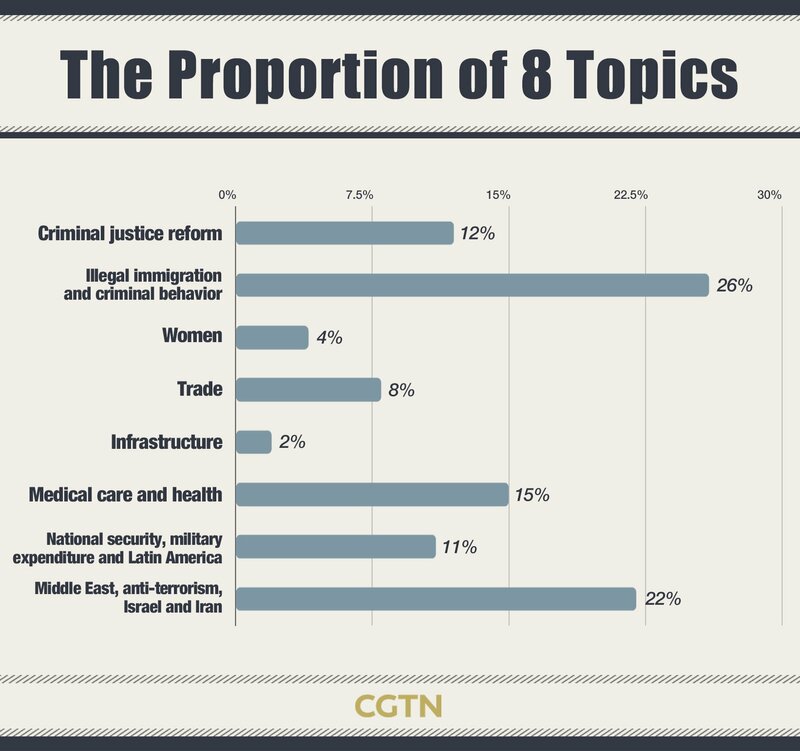 Second, China is mentioned in a negative way, though not very sharply.